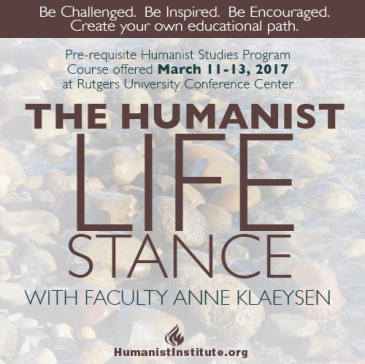 See the HumanistInstitute.org for details about this upcoming class and their Certified Humanist Professional program. Humanism (with either upper or lower case "h"), whether labelled a philosophy, life stance, worldview, movement or "religion", dates back to the ancient Greece and Rome of Eipicurus and Lucretius. After lying dormant for centuries it began to reawaken following the Renaissance, the Reformation, the Enlightenment, and the development of science. The Deism of Voltaire and Paine and Jefferson was a sort of proto-humanism. The 19th century growth of democracy, science, public education, and industry - aided by Darwin's breakthrough in science - spurred the advances of freethought and rationalism. The Ethical Society movement took off after the Civil War and Unitarian congregations moved leftward theologically toward naturalistic Humanism. There is a new book on UU Humanism to be published by the UUA's Skinner House press this Fall, Humanist Voices in Unitarian Universalism. At General Assembly in Columbus, on Saturday, June 25th, there was a panel discussion about topics from the book. On the panel, seated left to right, were David Breeden, John Hooper, Maria Greene, Amanda Poppei, Kendyl Gibbons, and T. K.Barger. Authors from the new book, Humanist Voices in Unitarian Universalism (Skinner House, Ed. Kendyl Gibbons and Bill Murry), share their hopes for humanism. 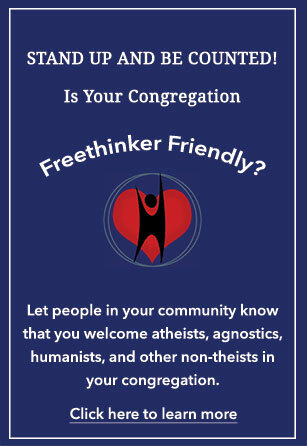 Can our humanist ancestry reach today’s “unaffiliated” and “spiritual but not religious?” What is the future of humanism in a spiritually pluralistic Unitarian Universalism? Outgoing UU Humanist Association president John Hooper had the pleasure of awarding the 2016 Religious Humanists of the Year award to Michael Dowd and Connie Barlow at this year's UUHA Annual Meeting. The meeting was held at the UUA General Assembly, Friday, June 24, 2016. Below is the video of their address, titled "Evolutionary Eco-Humanism".